Handcrafted in the USA in the heart of Oregon and dedicated to energy efficiency and green initiatives, Marquis makes the most attractive and therapeutic hot tubs in the industry. 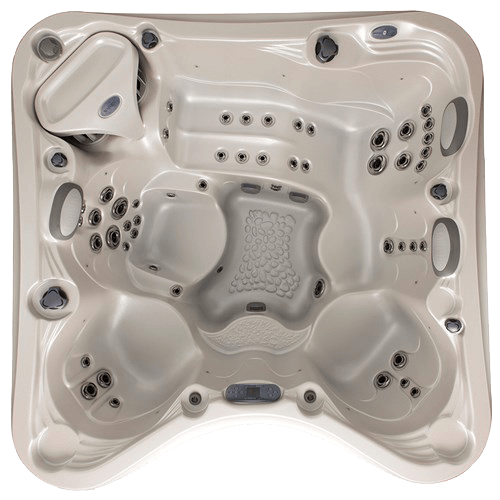 Marquis hot tubs offer advanced hydrotherapy and powerful performance as well as features that enhance relaxation and pamper with accessory options from drink holders and interior safety lighting to Bluetooth connections, docking and premium speakers. This high-impact acrylic interior stands up to the elements to resist cracking, fading and blistering. This wood-grained exterior is formed of UV resistant synthetic material to retain its like-new appearance and resist water damage, scratches and dents. This steel-reinforced base is formed of a solid sheet of high-impact, textured acrylic that won’t fail or need repainting over time. Furthermore, with the Marquis Owner’s Protection Plan, you are covered by one of the most comprehensive warranties in the industry. 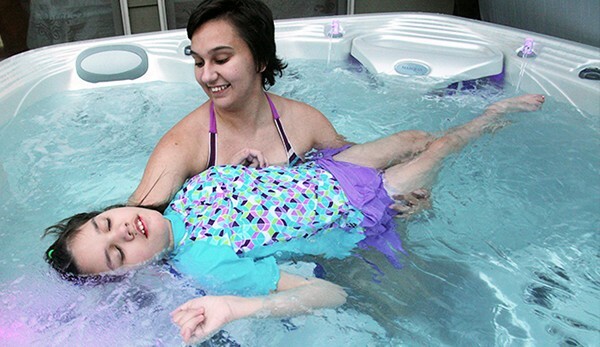 Marquis® and Make-A-Wish® team up to help wish kids find relief in the soothing water of a hot tub or swim spa. Marquis has granted nearly 700 hot tub and swim spa wishes for children with life-threatening medical conditions. In honor of their partnership with Make-A-Wish, Marquis has created The Wish Hot Tub and donates $25 to Make-A-Wish for every Wish hot tub purchased. Surround your Marquis hot tub or swim spa with custom environments modules that transform your outdoor living space into a personal hot tub paradise. With the same high quality of craftsmanship and durable materials, these accessories perfectly complement your hot tub or swim spa. Furthermore, you can see them at our Marquis Hot Tub showroom in Doylestown, only minutes from Warminster, PA. Get directions. This filtration system makes water management carefree and easy. This exclusive ozone system destroys unwanted elements 3000 times faster than sanitizer alone. This system uses natural minerals and bromine cartridges to treat your water so it’s safe and clean without unpleasant odors or skin irritation. Customize your Marquis® hot tub or swim spa with hot tub accessories available at our Doylestown, Bucks County showroom convenient to Warminster, PA and surrounding areas! Portable Marquis hot tubs provide you with The Ultimate Hot Tub Experience! In addition to refined beauty, each spa features advanced hydrotherapy and powerful performance. Contact Bucks County Hot Tubs for more info on how you can own an American-made Marquis Hot Tub or visit our showroom today! Discover the Marquis Hot Tub that defines your style! Contact Bucks County Hot Tubs today for more information on the entire line of Marquis Hot Tubs! Better yet, visit our Bucks County Hot Tubs showroom to experience Marquis Hot Tubs, swim spas and accessories! Our Marquis Hot Tubs showroom is conveniently located in Doylestown, only minutes from Warminster, Warrington and Newtown, PA. Get Directions.